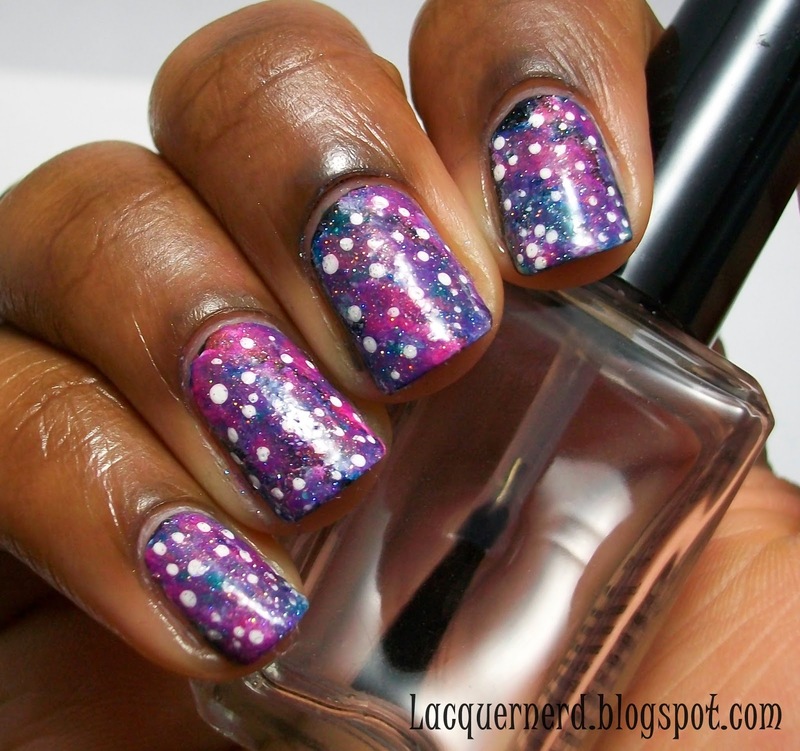 Today I have some nail art for you! This was actually going to be more than just galaxy nails, they were going to be galaxy cat nails. Unfortunately, the idea didn't really work out so I just stuck with doing just the galaxy. I'll probably try to do it again because who doesn't like galaxy cats lol. Although I will say that it's a first for me doing a dark galaxy nail. I really like them, so let's check them out! For these nails, I used Sinful Colors Black on Black as the base color. For the colors of the galaxy I used Sinful Colors Rise and Shine, Snow Me White, Cream Pink, and Amethyst, an unnamed Color Club polish, and China Glaze Fairy Dust. I used the same method as my other galaxy nails that I did during the 31 Day Challenge. Instead of using a makeup sponge, I used q-tips instead. I feel like the q-tips gave it more of a galaxy feel than with using a sponge. Even though this is my second time doing galaxy nails, I really like these. You really can't mess up galaxy nails and they're so simple to do. 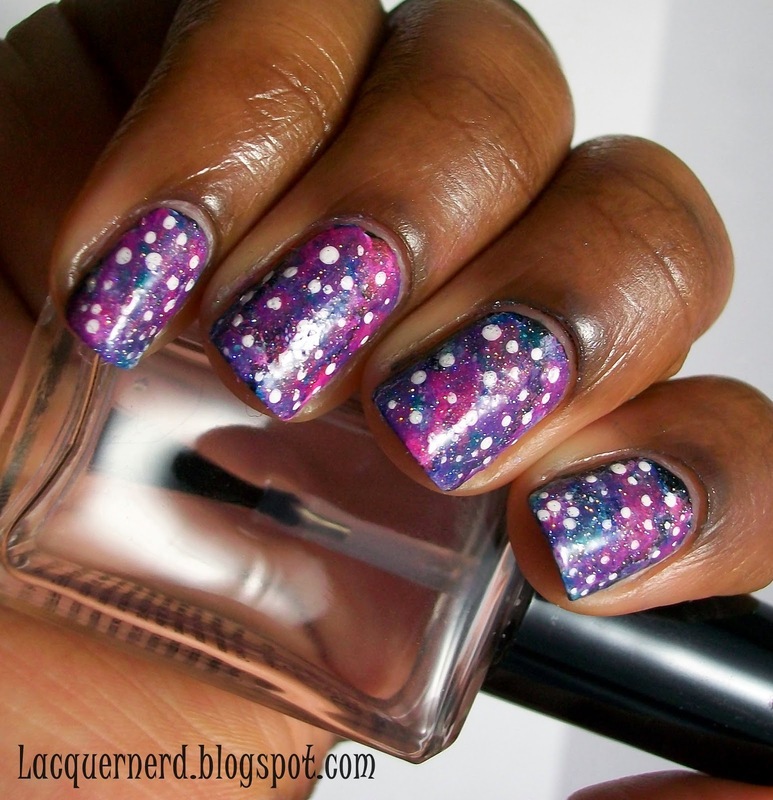 I'm going to try doing those galaxy cat nails though even if they will look like crap lol. What do you think of these nails? 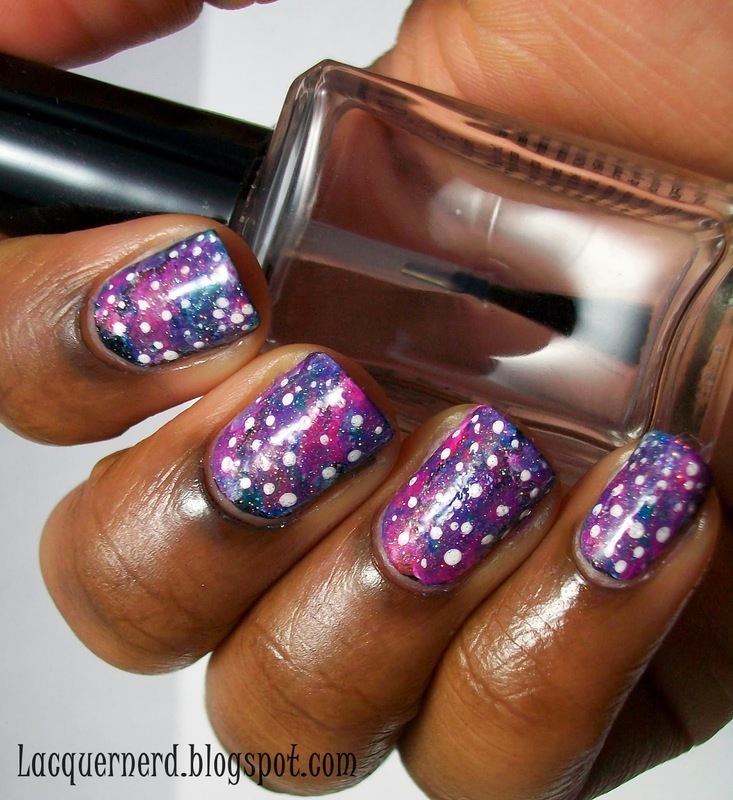 Do you prefer dark or light galaxy nails?